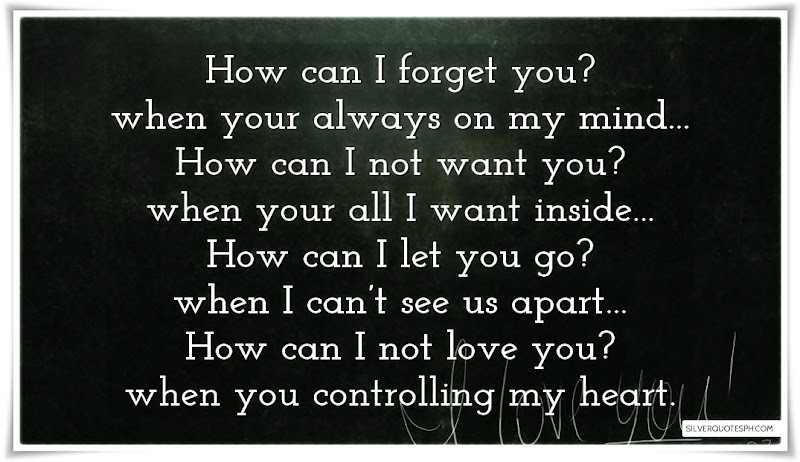 How can I forget you? when your always on my mind... How can I not want you? when your all I want inside... How can I let you go? when I can’t see us apart... How can I not love you? when you controlling my heart.